Writing a novel, especially the first one, is like embarking on a mission and once it is published, the writer experiences a boost of confidence. 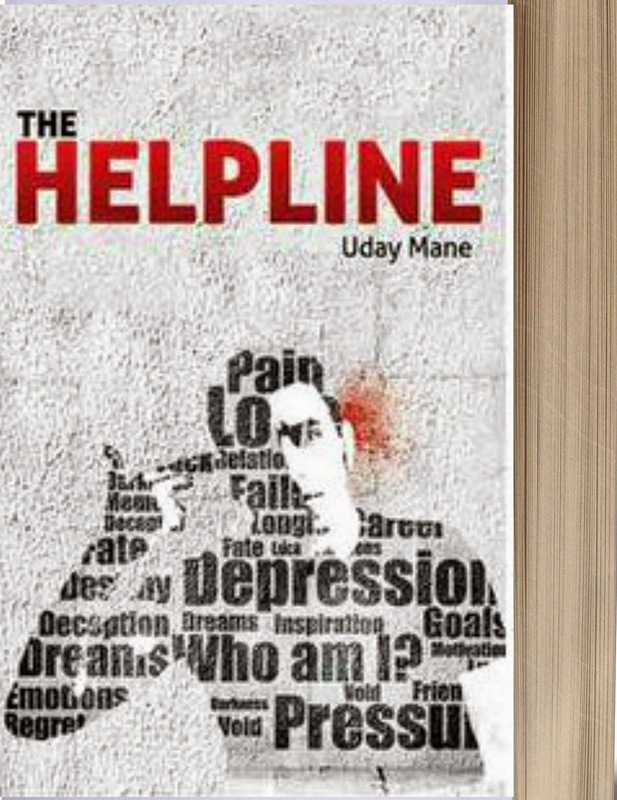 Uday Mane’s debut novel ‘Helpline’ deals with a complex theme: teenage suicide. Samir is hopelessly in love with Riya and is devastated when she chooses to leave him and go abroad for further studies. Heartbroken, he takes to alcohol, drugs and writing, in no particular order. Uday scores a plus at many points in the novel. The nightmare in the beginning is intriguing and clearly shows that he has a grip on the art of writing. A suicide helpline is a unique contribution to our ever-changing society matrices and it’s a clever move to use this tool. Suicides have become so common that the people not directly involved with the victims see it as an indicator of their individual weaknesses rather than the growing insecurities heaped on unsuspecting minds by social pulls and pressures. Of all the subplots Uday has excelled in weaving a beautiful brother-sister relationship between Riya and Siddharth. Both are motherless children but Siddharth suffers from Down’s syndrome. Riya looks after Siddharth as if she were his mother. Very subtly we come to know that Riya has tied herself inextricably with Siddharth’s well-being. She doesn’t say so, but anyone who tries to be close to her cannot do so unless he accepts that wherever she goes, Siddharth goes. Samir’s love for Riya encompasses Siddharth and that is one big reason that he carves a place for himself in her heart. Nana, Samir’s grandfather, is thoroughly likeable, and has a considerable influence on Samir in his childhood. Samir’s father makes brief appearances and is responsible for pressurizing Samir into studying engineering even though he doesn’t want to. That will ring a bell with most young people as they are subjected to the same emotional torture when choosing a career path, especially in the Indian subcontinent. Yours truly was also a victim of the same parental bullying. But there are other angles which remain unexplored. Neha is Samir’s good friend and tries her best to keep up his spirits while he is drowning in other kind of spirits. Neha loves a Muslim boy and there is a conflict between their families when they decide to get married. 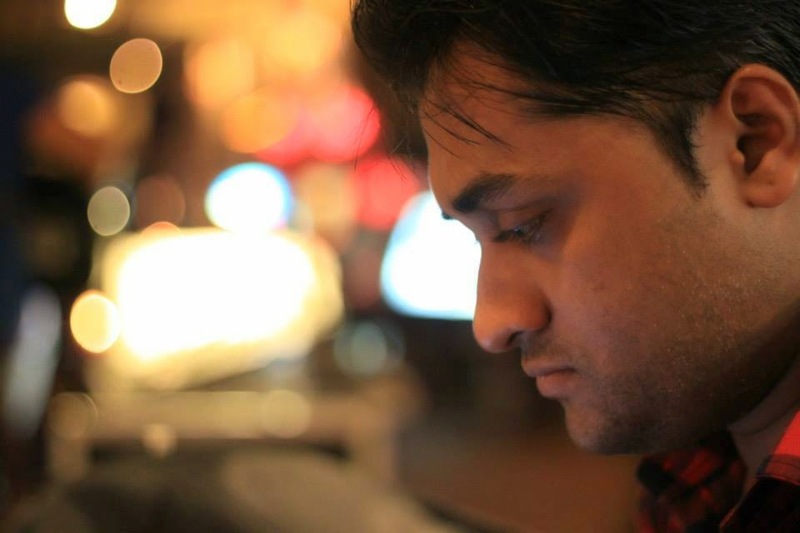 Though it is a reality, there seems to be no worthwhile connection between her story and Samir’s life. Rajesh is a street-smart guy who is shaped by circumstances around him. His story is tragic yet he never loses his positivity. I loved the way a boy from a poor Bihari family works for a year to save money for his education, then completes a year of engineering, then again goes to work to save for the next year. I think Rajesh’s story is an inspiration, as well as a guiding force for students who have high ambitions but low finances. There are some awesome points in the story. The one I liked most was when Samir & Riya jump into the water from a bridge somewhere outside Mumbai just before sunrise. It was a thrilling moment and gave me goosebumps. This is one place where Uday has excelled in his narrative skills. I could visualize the two teenagers jumping from the bridge and them coming to the surface to watch the sun rise from behind the arches. I would love to copy that act but I’m afraid of heights. BTW I think I know exactly where the bridge is. In totality, however, the novel fails to create an impact. There is no ‘magic’ connection with the reader which is so important for a writer. An analysis of the novel becomes an exercise in futility as the printed word is already out and cannot be changed. The pivot of the story which throws Samir into 'Mode Depression' comes basically out of his own weakness. Long-distance relationships have been in vogue for millenia, even when there was no electricity and no steam engine, let alone petrol engines and the world wide web. So when a teenager claims to be head over heels in love with a girl and doesn't have the patience to wait for her to return (or follow her to wherever she goes) then he is an extremely shallow-minded person who deserves no sympathy. Samir’s character-arc remains a straight line, he doesn’t grow as a person. He sticks to his own inhibitions till the end. He comes across as an introvert, submissive, unable to create a rapport with anybody around him. One way of underlining a person’s downgradation is to show how his equations with people around him deteriorate. Samir is not shown to share his problems with anyone – not Riya, not Neha, not his father, not Rajesh. He doesn’t confide in anyone. So he is left alone to grapple with the breakup in the latter part of the novel. Neither has the writer highlighted the fact that it is inability to connect with the people around him that propels him towards self-doom. The story falls flat because it reads more like a diary. The writer has used the flashback technique but as there is no rhythm to the back-and-forth movement, it fails to create a symphony. The biggest negative factor is the language. With all due respect to the writer, his knowledge of the English language is meagre. I tilt my view full degrees on both sides. The walls are white and glowing in such exuberance; it feels like a needle piercing my eyes. A waiter passes by with a jar of water. She submits her body to the ground. My neckline seems to be sinking further inside; for as long as it can hold my head in place, I do merry. The flesh in my body has decimated, and it has reduced me to skin and bones. …the lyrics made no sense, but the melody caught my earworm. Earworm??? A question that arises naturally is, ‘What was the editor doing?’ It is part of his job to advise the writer to improve his prose, and to correct grammatical errors. Anyone can become a writer. And I’m not being sarcastic here. But shouldn’t you have some respect for the craft you want people to appreciate? This novel is full of grammatical errors, major major mistakes in usage. I shudder to think what would happen if this novel is read by an American or Briton or anyone whose native language is English. It would put a question mark on Indian writers’ abilities and that’s not a welcome thought. It takes years to establish one’s credentials and seconds to break them. A story is like gold ore. The dirt needs to be brushed away, the metal needs to be polished, shaped and studded with precious stones if you want someone to fall in love with it and buy it. Take some trouble to learn the craft. Writing your first novel and getting it published is a noble beginning. Once you pass that hurdle, what remains is to hone your talents to become better and better in your profession. "If a writer is not sure about his own story, the readers always fail to understand it." This sentence from the novel sums it all up. Helpline has a great blurb and a promising premise but a novel needs more than just that to make a mark.